If you’ve ever wanted to travel to Asia, don’t hesitate to visit China. This country strikes a perfect balance between its ancient history and an ever-evolving modern society. With the largest population in the world and a constantly growing economy, it’s hard to play down China’s importance. More than ever before, European students are packing their bags and travelling to this ancient empire to see what all the hype is about. Whatever your reason, now is the time to visit China, and our discounted student flights to Shanghai and other cities will help you get there on a budget. Riddled with bare-bones accommodations, affordable transportation and delicious food vendors, China is packed with cheap places to travel. Backpackers love it for just this reason. The only catch is the airfare, which can run a bit steep. Never fear! At StudentUniverse we negotiate cheap air tickets specifically for students and youth, and offer competitive flights deals for adults and groups as well. Still having doubts? Talk to a 24-hour travel agent to find out how to score cheap flights to China, and whether the Middle Kingdom is the place for you (probably is, tbh). The best time to visit China, most people say, is September or late October, when the weather is cool and dry, and crowds begin to thin after peak season. Just make sure to avoid the first week of October, when national holiday brings hoard of Chinese tourists into the cities and prices rise accordingly. In most Chinese cities, you can find affordable hostels and hotels for every taste (making one of the best places to backpack). Employees here are very friendly and can help you book domestic flights, though rail travel is more common. When travelling by train, pick your ticket carefully. You don’t want to end up with a “hard seat.” While is may seem more “authentic” to ride with the locals, the novelty quickly fades away. For any trip that nears an hour, pay a little extra for the far less crowded “soft seat” carriage, where everyone has enough space to walk to the toilet. With so much to see throughout the vast countryside and many cities, you might want to book an affordable tour package. Unless you’re fluent in Mandarin, a local tour guide could come in handy when you encounter a tricky language barrier. Beijing has been the on-again-off-again epicenter of Chinese culture and politics for thousands of years. Every ancient site can be paired with a modern marvel. The Forbidden City is preceded by the infamous Tiananmen Square; the Imperial Gardens of the Summer Palace countered by the 798 Art District; the enduring hútòng networks paired with newly crafted Olympic arenas. This bustling metropolis is the perfect place to experience China. For a more relaxed experience, try biking around the city wall in Xi’an or watch archaeologists uncover terracotta warriors at the nearby discovery site. Don’t forget to visit the Giant Wild Goose Pagoda, a 7th century multi-story landmark where you can purchase a freshly printed copy of the buddha’s footprint, transferred from a stone slab to a sheet of rice paper with bright red ink. If you don’t want to keep the memento for yourself, it makes a great gift. 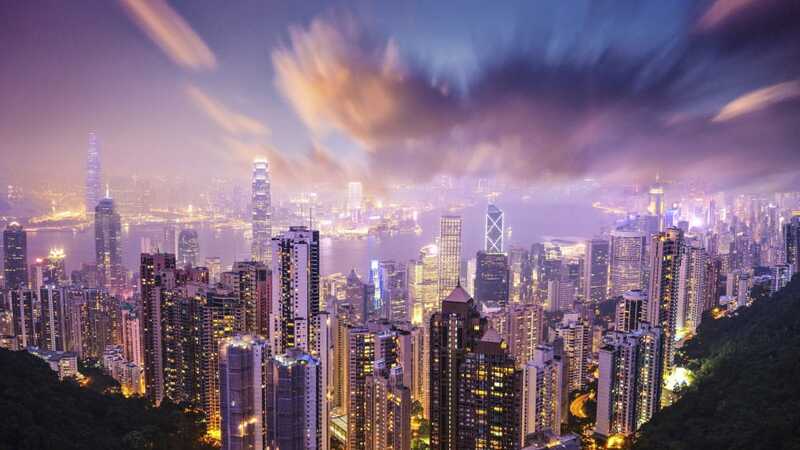 For an easier transition into China, begin your travels in Hong Kong. This peninsula territory and former British colony reflects a blend of eastern and western cultures — they even have a Disneyland! 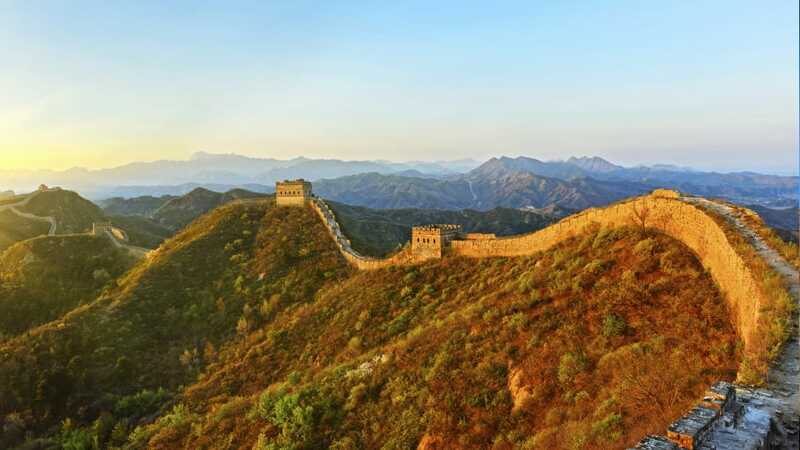 There’s a saying in China that “he who has not been to the Great Wall is not a true man.” The wall was built up as needed between 771 BCE and 1644, helping protect the kingdom from northern invaders and establishing a system of border control. It stretches over 6,000 km miles (longer if you include the natural barriers), and whilst much of it is still standing, some portions have deteriorated and are no longer safe to navigate. It’s most commonly accessed from Beijing, and is, without a doubt, one of the most popular places to visit in China. Situated at the bank of the Huangpu River, this picturesque promenade offers a perfect view of Shanghai’s electric cityscape, including the Oriental Pearl TV Tower. This is one of the most popular places to visit in China, but make sure you go at night for the best photos. Ever since its 1950s tourism boom, Guilin’s landscape was considered “the best under heaven.” Prehistoric creatures such as the Ichthyosaurus and Nothosaurus once swam among these rocks, until the tectonic plates of India drove the underwater terrain upward, out of the sea. Over millions of years, softer minerals have eroded to create a dramatic range of limestone structures which protrude along the majestic Lin River from an otherwise even landscape. Founded in 1987, the Chengdu Panda Base is one of the most popular places to see China’s national animal. You can even cuddle a panda cub (for a hefty donation fee). 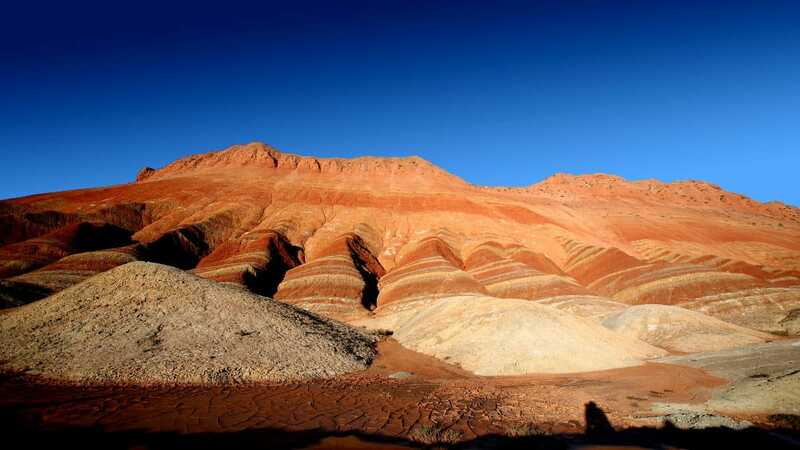 Get the low-down on some of the world’s most (figuratively) underground destinations, including China’s Tianzi Mountains, as seen in James Cameron’s “Avatar,” and the technicolor cliffs of the Danxia landform. Who knew Hong Kong was the Halloween capital of Asia? Read about the different spooky events you can enjoy on the South China peninsula. Need a little more inspiration? StudentUniverse bloggers bring you China’s ultimate, must-see locations, including some we already mentioned, like the Great Wall, and some we didn’t, like Potala Palace.